June 8th is World Oceans Day! ‘World Oceans Day’ was officially recognized, in 2008, by the United Nations General Assembly after a proposal, in 1992, by the Government of Canada. Gerstein, Mordecai. 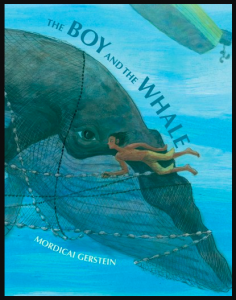 The Boy and the Whale. New York: Roaring Brook Press, 2017. 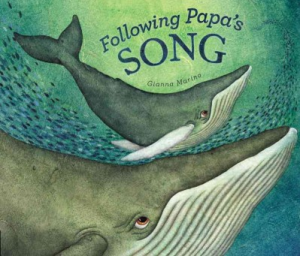 A young boy and his father rescue a whale tangled in their net in this life-affirming story based on a real-life event. The expressive illustrations, well-designed pages, and smoothly flowing text combine to make this a wonderful picture book for children and young teenagers. Learn more about World Oceans Day! Marino, Gianna. Following Papa’s Song. New York: Viking, 2014. Full-page illustrations colourfully illustrate this story about the migration of humpback whales. Recommended for children up to seven years of age.